Chinatown, Manila. The sheer variety and amount of traffic is staggering! Open air markets in Chinatown might be a thing of the past. 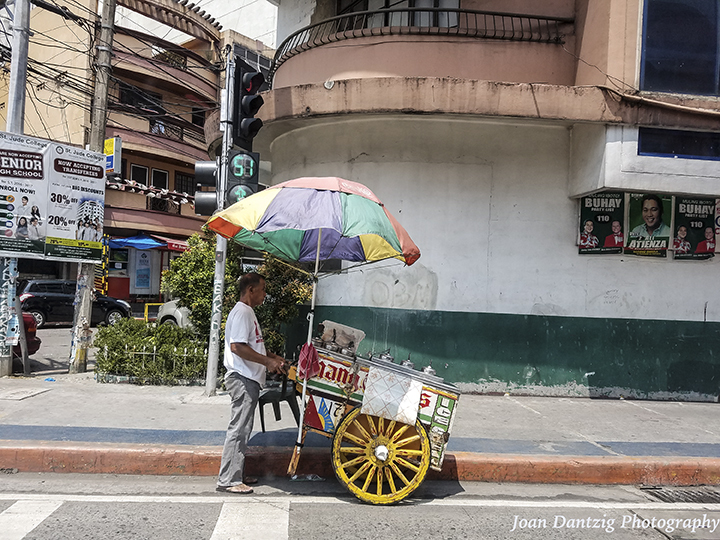 Open air vendors: Travel Photography–Street vending was a way of life until recently in the Chinatown section of Manila. 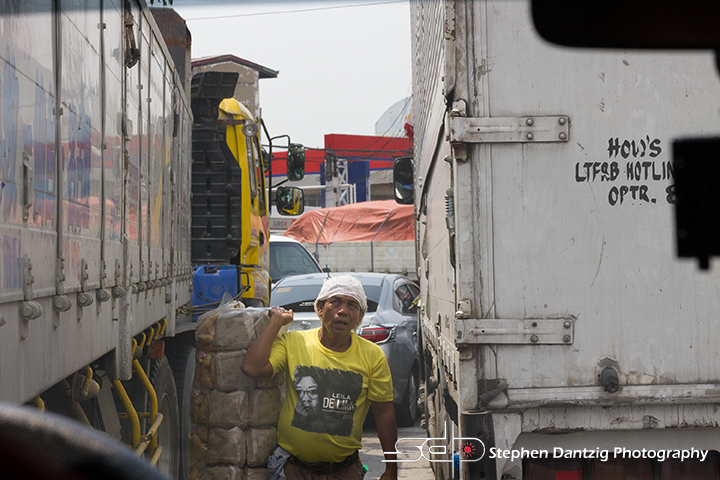 The current administration has appear to put an end to sidewalk vending to ease some of the traffic concerns. We have mixed emotions about this because it was such a unique experience to be a part of. 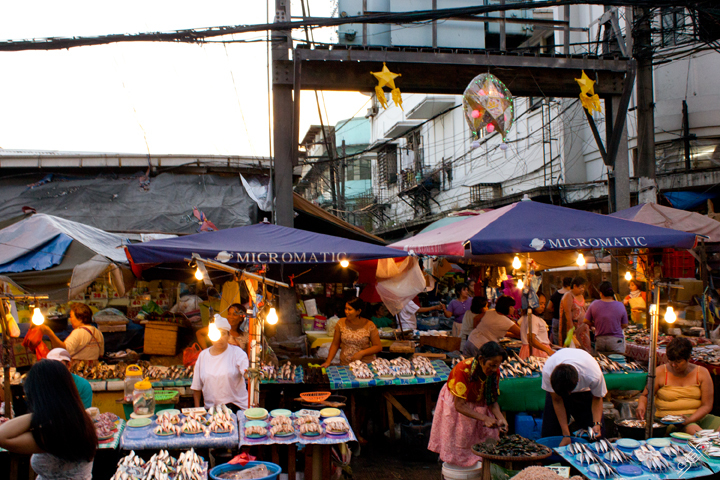 Open air markets are such an integral part of the Philippines. 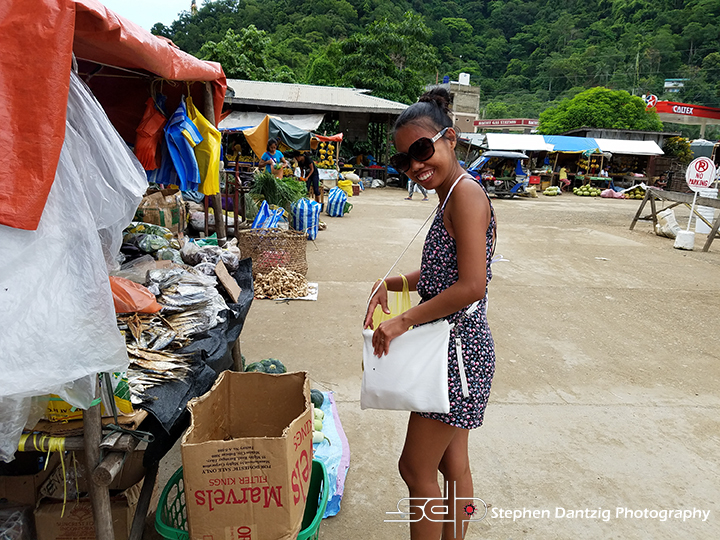 We saw similar markets in Boracay (OUR LOBSTER TAILS for $25.00!) and El Nido. I hope the outdoor Chinatown markets survive! STREET FOOD in Manila…ummmm…I think I’ll pass! Street Hawkers: Street vendors are not limited to open air markets in the Philippines. You see vendors everywhere on the side of the road (reminds me of the “dirty water hot dog” stands in Manhattan!) and even walking through traffic (why not? Let’s face it, you aren’t going ANYWHERE midday in Manila!). 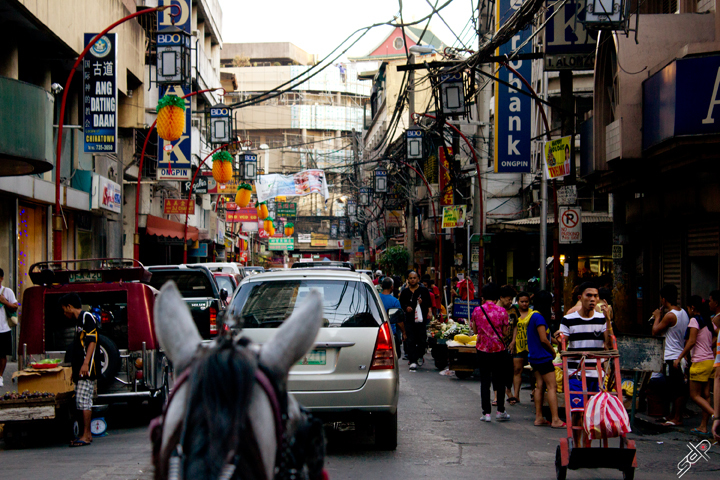 Street hawkers in Manila–why not?